During a recent visit to New York City I walked the Brooklyn Bridge and caught this view of Midtown peeking through the Brooklyn Bridge railing. I softened the image a little and love the ever so slight surreal view of New York. 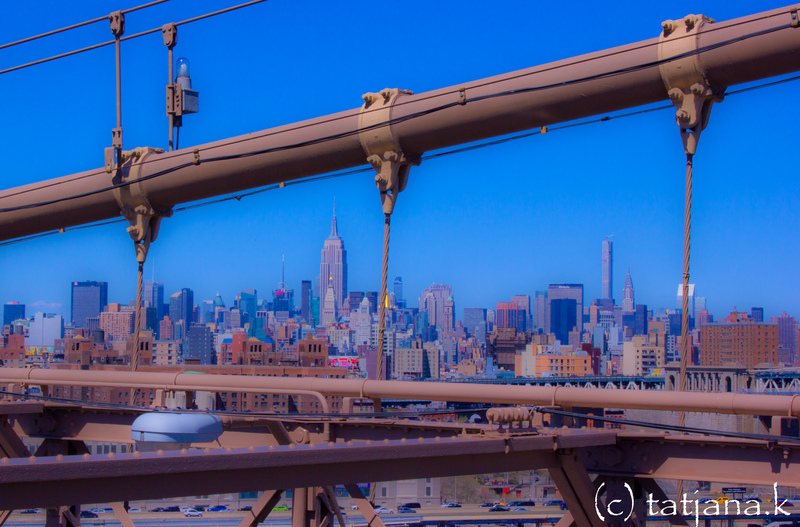 This entry was posted in USA Travel and tagged Brooklyn Bridge, New York City, photo, photography, travel.